Newcomer Family Obituaries - Charles 'Chuck' Stevens Jr. 1946 - 2019 - Newcomer Cremations, Funerals & Receptions. 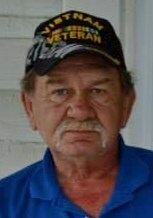 Charles Albert "Chuck" Stevens Jr., age 72, passed away Monday January 14, 2019. He is predeceased by his parents: Charles Albert Stevens and Sarah Louise Stevens. Chuck is survived by the love of his life, Bonnie Betts, children: Charlotte (Joe) Ewing, Cindy (Julio) Gudiel, Charles (Misty) Stevens III and Crystal (Chuck Smith) Stevens, siblings: Carol Matthews, Charlotte (Steve) Schoenstra and Frank Stevens, 15 grandchildren and 28 great-grandchildren as well as many loving extended family and friends. Charles served his country in the US Army during The Vietnam War. He was a man that loved his family and friends dearly. Add your memories to the guest book of Charles Stevens Jr.. I have known you many years Sonny you were an amazing father and a wonderful grandfather R.I.P. sonny and god bless you amen ?? I will miss my uncle Sonny forever. Some of the best times in my life I spent over at his house on weekends. He was a great guy who loved sports and was always quick to talk about the Browns or the Buckeyes. RIP uncle you were loved and will be missed dearly. Chuck and I served in the Army at the same time. Our paths crossed at basic training and we were both assigned to Fort Belvoir for advanced training. We even managed to meet briefly in Vietnam. Although we never met again, I know he was truly one of the good guys. My sincere condolences to the family.